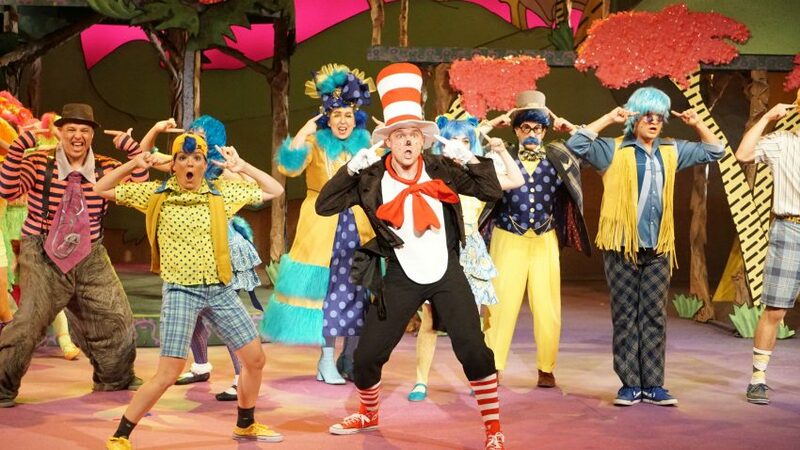 Dr. Seuss’s characters and rhyming style are unique and recognizable, even when they move off the page and onto the stage in SEUSSICAL™. The 2016-2017 season opener is filled with songs just as catchy as Dr. Seuss’s beloved stories. 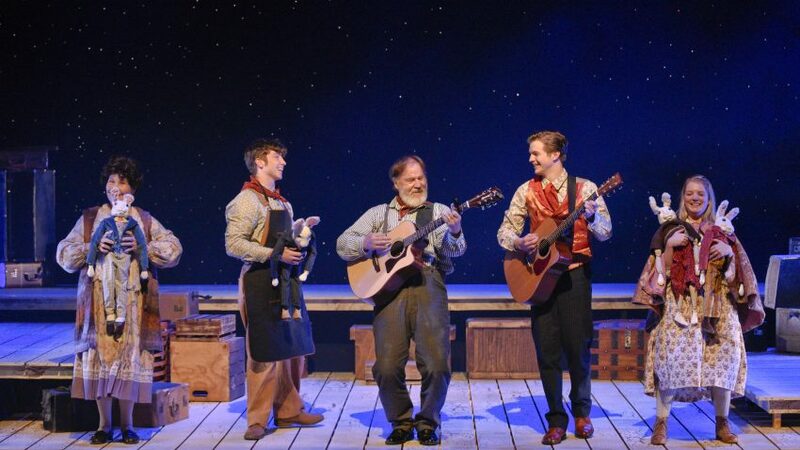 We asked Pam Holcomb-McLain, the show’s musical director, to explain how different styles of music best express the attitudes of the characters. Read on to see Pam’s thoughts. DCT’s SEUSSICAL™ has something for YOU! 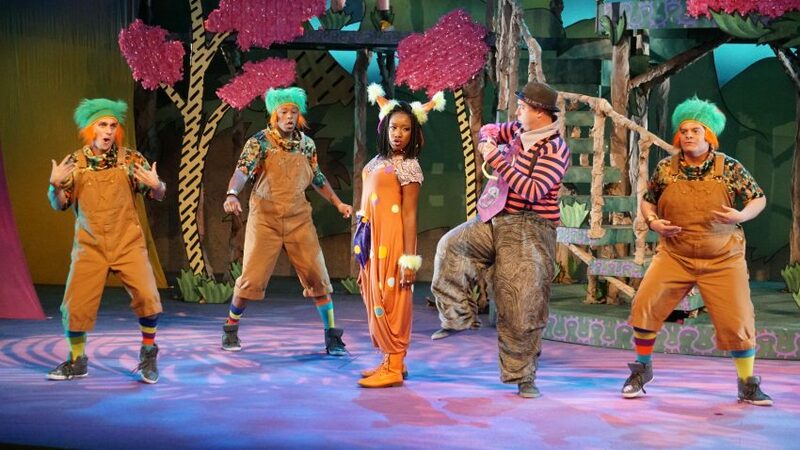 has been reworked into a streamlined, 75-minute musical for young audiences. The show is now one of the most produced shows in America, performed by schools and theatres, amateurs and professionals alike. One of the (many) strengths of this reworked version of the musical is that it maintains the musical diversity and integrity of the original Broadway production. The opening number, “Oh the Thinks You Can Think,” is an energetic song and dance number that introduces the audience to the entire cast. At times when the show focuses on characters living together in the Jungle of Nool, drum beats and repetitive melodies accompany the action. When the residents of both Whoville and the Jungle of Nool appear in a climactic scene in a courtroom…let’s just say things get spiritual in a powerful, Gospel number. jazz and vaudeville sounds. Horton the Elephant, on the other hand, expresses his thoughts through heartfelt ballads. The Whos in Whoville prefer to sing along to fun, carnival-inspired music, complete with calliope. A calliope (KAL-ee-ohp) is a musical instrument that produces sound by sending gas, steam, or compressed air through large whistles. These instruments are typically very loud; even a small calliope can be heard from miles away. 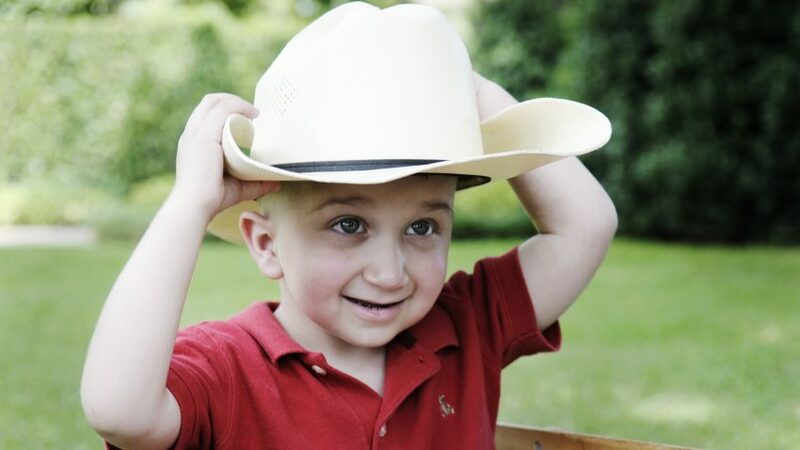 And little JoJo’s imagination soars during the song “It’s Possible,” as the music grows and grows until it ends in with Beach Boys-style sound straight from the 1960s. 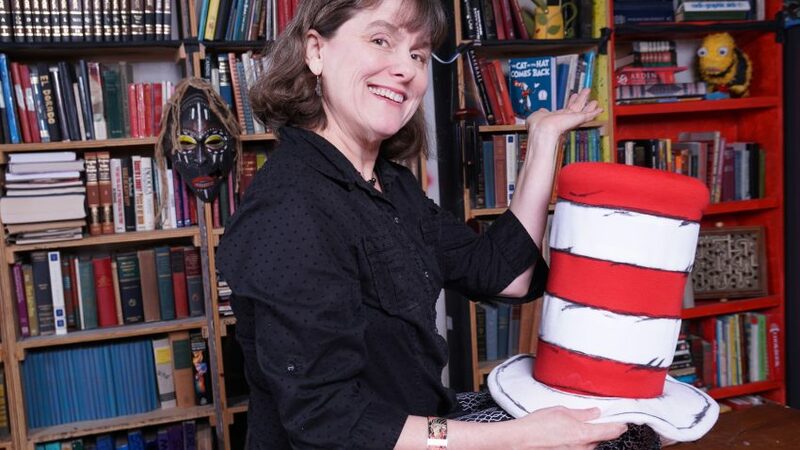 The prolific songwriting team of Stephen Flaherty, who writes the music, and Lynn Ahrens, who writes the lyrics, are responsible for Seussical’s score as well as its book. The strength of Flaherty’s musical compositions is matched by Ahrens’ clever lyrics, which blend seamlessly with Dr. Seuss’s original work. The effect of combining highly stylized music with ingenious lyrics are songs that invite, entertain and narrate to audiences of all ages the importance of imagination and friendship, especially in difficult circumstances. Other widely known musicals that Flaherty and Ahrens have written include Lucky Stiff, Once on This Island, and Ragtime. They are currently adapting the animated Disney movie Anastasia for the stage. With so many different styles of music in one play, there is surely a sound that will please everyone’s ears. Many thanks to Pam Holcomb-McLain, the Musical Director of SEUSSICAL™, for talking with us about the soundtrack of the show. We can’t wait to see you at SEUSSICAL™! 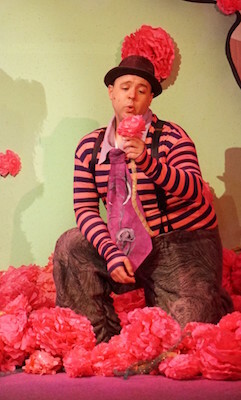 For ticket information to Dallas Children’s Theater’s production of SEUSSICAL, go to dct.org. 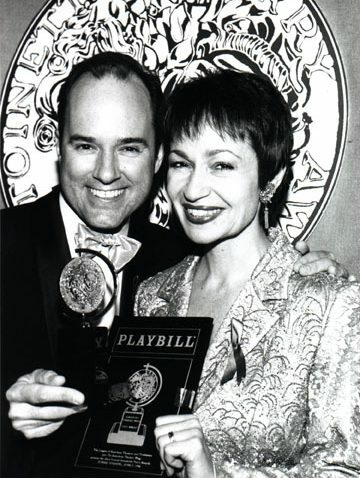 TONY Award photo of Ahrens and Flaherty: Photo by Anita and Steve Shevette. One Fish, Two Fish. Nancy Schaeffer—Who’s this? 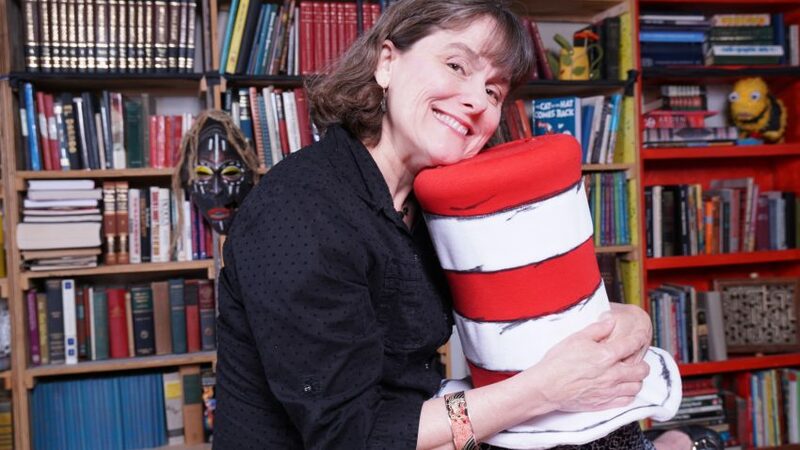 Before the opening of the first show of the season, we talked with Nancy Schaeffer, the director of SEUSSICAL™, to learn more about the show. Q: Give me 3 words to describe Seussical. A: Three words I’d use to describe it are beautiful, meaningful, and joyful. Describing in a sentence using three words I’d say, every person counts. Q: What do you like most about Seussical? A: It’s hard to choose just one thing. I love the music, but I love the characters the most. I love stories that have interesting characters, like most people do, and this show is full of them. They each have their own little egos, their own personas. Q: What experience are you trying to create for audiences? A: Any time I direct a show, the purpose is to create an experience that just completely captivates the audience. Something that makes them feel like they’re a part of the journey just by being in the theater and going through the adventure with the actors. I want every audience to feel like we did all this just for them. A: The pursuit of an ything you love, the pursuit of what brings you joy is always life changing. I talk to my casts about the fact that you never know who is in the audience or what they’re going through. It’s our job to provide a moment of happiness and that’s both a gift and a huge responsibility. A perfect example of that is Ryan Goldblatt, who saw HOW I BECAME A PIRATE and loved it. Unfortunately, he passed away shortly after. Now his mother has a great relationship with us all because her son had a good time at the theater. Q: What’s your favorite children’s story? Why? A: Oh here’s a funny memory, one with my cousin, about the first book I ever learned to read. The first book I learned to read was, funny enough, One Fish, Two Fish, Red Fish, Blue Fish by Dr. Seuss. But my cousin always teased me, she’d say, “Oh well you just memorized the words.” And I’d say, “Yeah. And?” We always teased each other like that. And now instructing people who memorize stories is my job! Creating powerful work on stage can be challenging, but it is so rewarding for artists. Especially when it has the power to help shy children open up or bring someone in the audience a moment of joy. We hope you’ll look for a moment of joy with us, at a performance of SEUSSICAL™. Visit dct.org/plays for show times and more information. As DCT was preparing for the 2015-2016 season, we all knew that Kate DiCamillo’s story THE MIRACULOUS JOURNEY OF EDWARD TULANE would be special. It’s simple but relevant story resonated with so many of us in an enduring and powerful way. This weekend, the DFW Critics agreed. In fact, DCT received several Dallas Fort Worth Theatre Critics Forum Awards for the 15-16 season, and our team of artists are to be congratulated! More than 200 local artists were a part of the Dallas Children’s Theater stage last year, serving as key ingredients to a wonderful season. 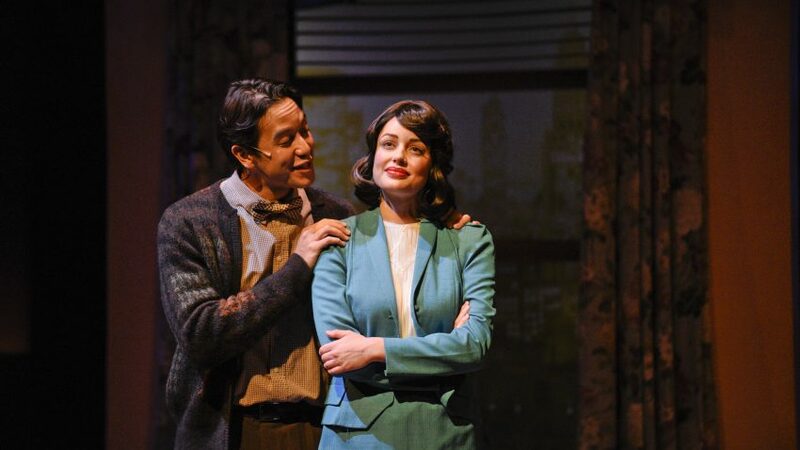 We salute them all, and we thank DFW Critics for recognizing Artie and the EDWARD TULANE team, along with Dallas favorite Janelle Lutz who received an award for Outstanding Performance by an Actress for her portrayal of Doris in MIRACLE ON 34TH STREET, along with other memorable performances this season. Finally, under the award section for “Special Citations,” the Critics called out Dallas Children’s Theater for providing sensory-friendly performances for kids with sensory sensitivities. This program, which began in 2014 and received funding from The Crystal Charity Ball to broaden its reach, is one that we are most proud of for the impact it has had on children with autism, Down Syndrome, and other sensory sensitivities. DCT receives positive feedback from families all the time for this program, and we are so grateful for the recognition by the DFW theatre community. This has been a big year for us, and we have no intention on slowing down! We always appreciate the feedback we receive from critics – our professional theater colleagues, and of course our audience. We look forward to kicking off another great season, and we hope you will secure your seat at the table as we cook up something special, memorable and noteworthy of award.